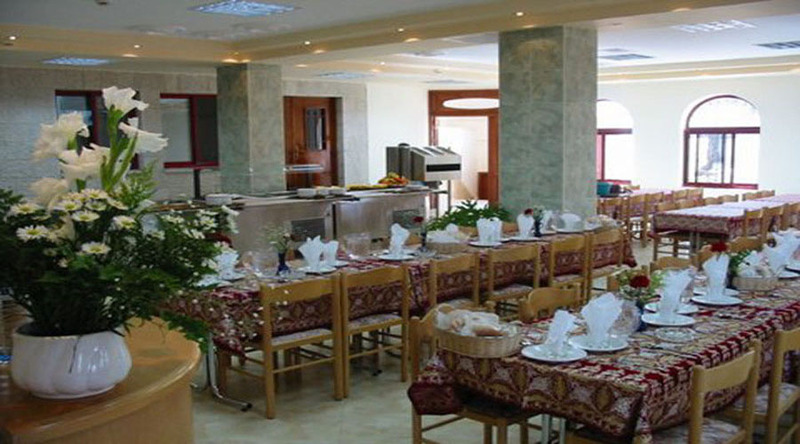 St. Vincent Guest House is situated in the city of Bethlem, a palestinian autonomous area, 10 km far from Jerusalem, Israel. The guest house is managed by the Sisters of Charity of St. Vincenzo de Paoli. Originally, the guest house was realized in order to use the incomes to support the adjoing orphanage La Crèche (in french means "the craddle"), also managed by the Sisters of Charity, offering welfare services for all the Palesinian Autonomies. Settled in the central area of Bethlem city, at John Paul II Str., St. Vincent Guest house is an excellent place to stay in order to visit the town. The building is new: finished in the year 2000, it has 4 floors connected by a lift. Wide external spaces and gardens are a peculiarity of the house. The reception is at the ground floor, provided with a large hall with armchairs and TV. At the second floor, a roomy veranda offers an unique sight of town and the surrounding hills. Overall, the guest house has 52 rooms with 1,2,3 and 4 beds. In a comfortable athmosphere, St. Vincent Guest House welcomes groups, families and individuals. Visitors will enjoy their stay at St. Vincent guest house - Bethlehem with clean and tidy rooms, hospitality and friendly atmosphere. The Guest House provides the visitors with a comfortable, quite and relaxing atmosphere to do their work and readings there.